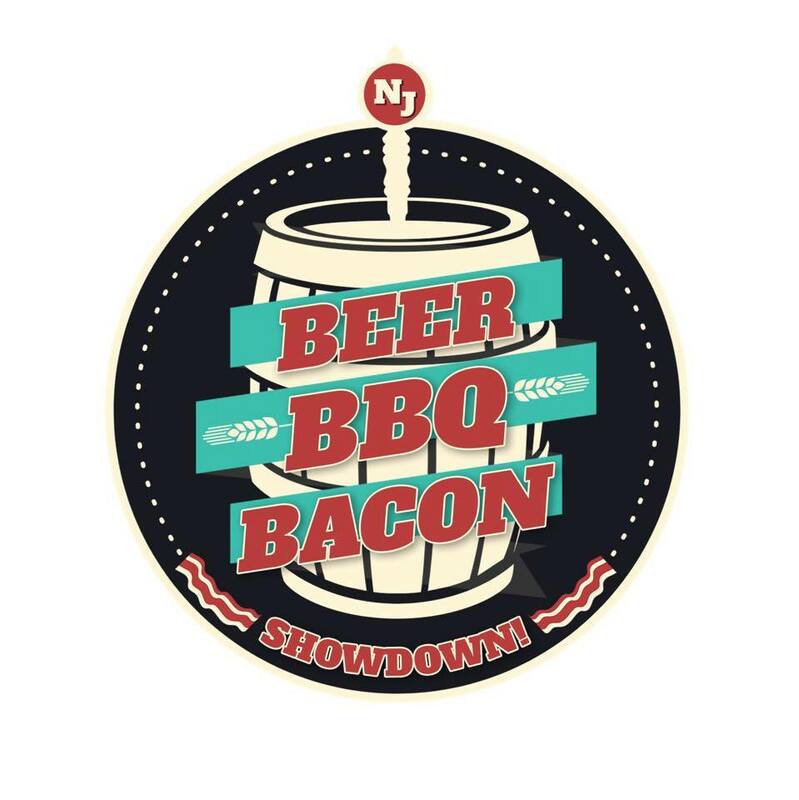 As a self-proclaimed foodie and bacon aficionado it is about time that I bring up a place that is very near and dear to me. Not only is this shop located minutes away from my house in Fair Lawn, but the mere smell of this brilliant store makes me smile. 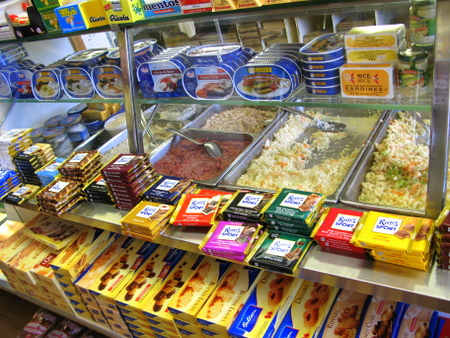 The boutique that makes this Blue Collar Foodie enter a dream world tantamount to Willy Wonka’s factory, only instead of chocolate it is full of wondrous meaty goodness, is none other than The Swiss Pork Store, located at 24-10 Fair Lawn Avenue, Fair Lawn, New Jersey. 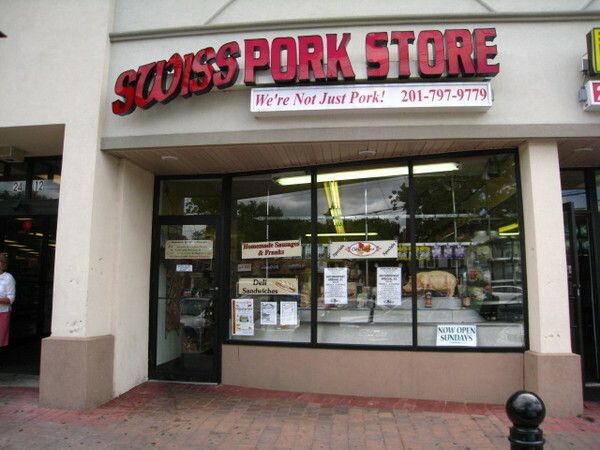 The Swiss Pork store is what Disneyland is to children for carnivorous foodies all across Bergen County and beyond. Their motto, which is extremely apropos, is, “We’re Not Just Pork,” and they are not kidding. Their packaged goods menu reads like a who’s who of foods that one needs to try before they die. They are a one stop shop for all things meat and then some. 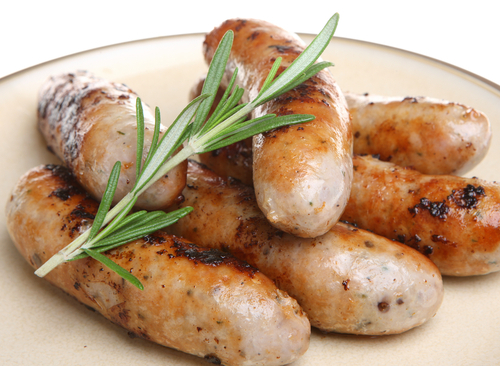 Some of the best homemade sausages in the state, if not the planet, can be found at the Swiss Pork Store, and just in time for your very own Oktoberfest. You can buy Bratwurst, Weisswurst, Bockwurst, Bauernwurst, Knockwurst and pretty much any other damn wurst that is known to man. On top of that they offer frankfurters with or without skin for anyone who feels somewhat inadequate when eating a large sausage, TWSS. You also never know what type of specialty sausages the mad men at the Swiss Pork Store are going to concoct on any given day, so I suggest stopping by and taking a peek before making up your mind, you might end up leaving with a Jalapeno and Cheddar Wurst that would make Oscar Mayer cry himself to sleep. The Swiss Pork Store also doubles as a full-fledged butcher as well. 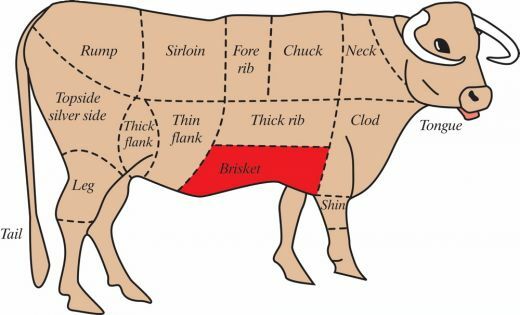 Although their fresh prime meats are rather expensive, ask before you buy, they are well worth the price. You can acquire chop meat that is unlike no other in the beef, veal, pork, or lamb varieties to create awe-inspiring meatballs or hamburgers. The steaks they offer compare to any of the steaks that I have paid triple for at a high end steak house in New York City, and you can choose between any cut, including porterhouse, shell, skirt, and NY strip. If you are feeling one of the white meats they can also carve your choice of Chicken and Pork in a variety of different cuts. If you are feeling a little frisky though, you can choose something a little more obscure to don your dinner table and go with their veal or lamb. Whatever you choose I assure you, you will not be disappointed, or at least I have never been. Not sold yet? Well, I am about to make the boldest statement that this Blue Collar Foodie has ever put in print, and if this statement does not make you get into your car and drive to the Swiss Pork Store immediately, I am not sure we can be Facebook Friends anymore. Ready? You might want to sit down. Are you sitting? THE SWISS PORK STORE SELLS THE BEST BACON YOU WILL EVER TASTE! There, I said it, and I mean it. 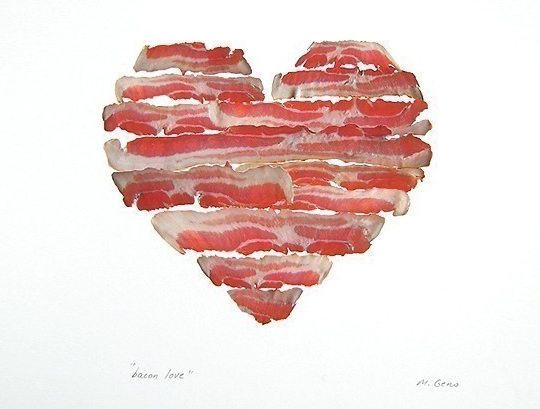 I have somewhat of a Bacon addiction as any of my followers know from previous posts, and I must tell you, with 100 percent certainty, this bacon could seriously create peace in the Middle East and it could make North Koreans and South Koreans hug it out. In fact, I have it on good authority that Roger Goodell and the Referees for the NFL, sat down and ate this Bacon on Wednesday night just before they settled the lockout. Alright maybe none of that is true, but I am serious, this is really good bacon! If everything you have just read did not convert you into a Swiss Pork Store customer, which does not bode well for our friendship status I might add, I present to you the following. Not only can you procure some of the finest uncooked goods in the land, you can also find remarkable homemade cold cuts for purchase by the pound or, unbeknownst to most, on a fresh made sandwich, that can only be described as simply divine. 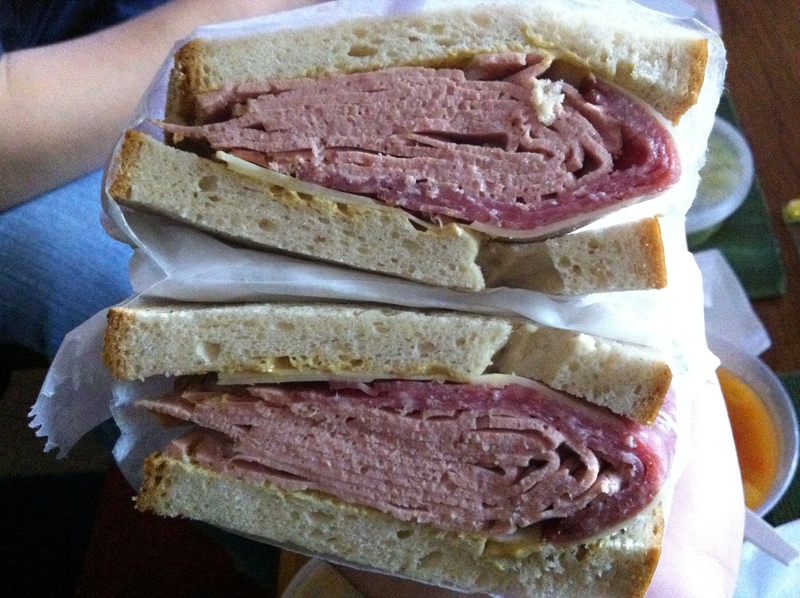 I suggest trying the Veal Loaf, which is scrumptious, but you can stay within your comfort zone as well and try the smoked in-house ham, salami, and turkey, or you can go completely off the rails and sink your teeth into their famous head cheese, blood & tongue loaf, or liverwurst. Creating a sandwich at the Swiss Pork Store is always an adventure and the best part is there is always a happy ending, get your mind out of the gutter people; I am talking about a full stomach. Furthermore, instead of the horribly unhealthy fries that any run of the mill burger joint will pair up your lunch with, the Swiss Pork Store has a huge selection of cold salads which Kat fiends for like a pregnant lady craves ice cream and pickles. Whether you are looking for packaged goods, including imported candy and European Groceries as well, to take home to feed your family or a sandwich on the go to feed your face, The Swiss Pork has it all. From the second I walked into this place and was greeted with a smile and slice of veal loaf, I fell in love. The people that work the counter here are always extremely helpful and have tremendous knowledge about the magnificent product that they sell. So don’t be shy when you give the Swiss Pork Store a whirl, and ask some questions, they will be happy to answer them and steer you in the right direction!